For the purpose of ensuring execution of the tasks noted with the Resolution of the President of the Republic of Uzbekistan of May 7, 2018 PP-3698 “About additional measures for improvement of mechanisms of implementation of innovations in the industry and in the field of economy” and also according to the Standard provision “About Department of Commercialization of the Scientific and Innovation Developments of the Highest Educational Institution” approved as annexes to the order of the minister of the higher and secondary vocational education of the Republic of Uzbekistan of July 5, 2018 No. 594 the department of commercialization of the scientific and innovation developments with the order of the rector of the university of July 9, 2018 No. 448 D/1 and the protocol of Scientific Council of the university of July 14, 2018 No. 10a is organized and the innovation fund of the university is created. In a position of the head of department it was employed Candidate of Biology, associate professor K.M.Atanazarov with the order of the rector of the university of September 15, 2018 No. 442 H/2, the manager of an innovation the student 3 courses of the educational direction of construction of the building and S.A.Bekimbetov’s construction with the order of the rector of the university of November 13, 2018 No. 834 H/2 was accepted. For today in compliance with the order of the rector of the university of January 18, 2019 No. 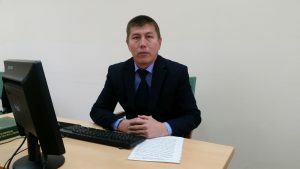 43 H/2 the head of department Candidate of Law Sciences, associate professor K.K.Nizamatdinov. a interaction with the industrial enterprises for the purpose of implementation of new technologies and production of innovative products.